Tilly never knew she had a half sister until her father died and Yoshi appeared in a cloud of mystery and glitter. Yoshi is everything that Tilly admires in a person; fun, hilarious, with bucket loads of swag. Yoshi in turn is very taken with her new sister and can see exactly where Tilly is going wrong in life, making lots of helpful suggestions like 'don't say swag'. 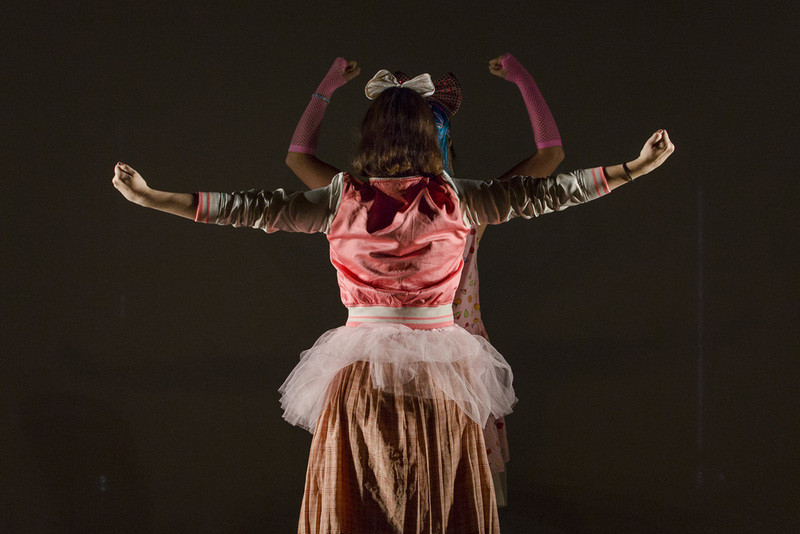 This adorable new play combines a love of Mario Kart, Japanese fashion and Henry the 8th with a soundtrack inspired by 90's video games and dance moves stolen from K-Pop film clips. It's pretty rad. Originally presented as part of Fringe World in 2015.